That Jack White is a very special bloke and has a thousand interests is well known. He’s the singer-guitarist of the White Stripes, member of Raconteurs and The Dead Weather (supergroups made up of friends from Kills, The Greenhornes and Queens Of The Stone Age), works with some of the most famous contemporary musicians as well as pursuing a solo career, loves his incursions into film with both appearances and music scores, feeds his obsession with the number 3, is a baseball fanatic and isn’t averse to getting involved in a pub brawl. Last but by no means least, is the event that brought the relationship between Jack White and the Black Keys to a head. By chance in mid-September, White and Black Keys’ drummer Patrick Carney ended up in the same bar in New York, where the tension between conflicting versions escalated. Nothing about this altercation is especially interesting, other than the fact that a short time after the event White revealed his latest project, which is about as different from his usual thing as you can possibly imagine! With his record label, Third Man Records, Jack White (father of two) is publishing a compilation for children on November 6th, (together with an illustrated book by Jess Rotter), entitled This Record Belongs To______ and containing songs by Carole King, Jerry Garcia, Woody Guthrie, Nina Simone, Donovan and many others. The cover of the album is a colouring book. As if this weren’t enough for White, he then decided to create a portable record player specifically designed for children, equipped with a USB socket and internal speakers so that it can be used anywhere, contained in a metal case suited to withstand even the rowdiest of audiences. And all for sale at the reasonable cost of $95, (turntable + LP). 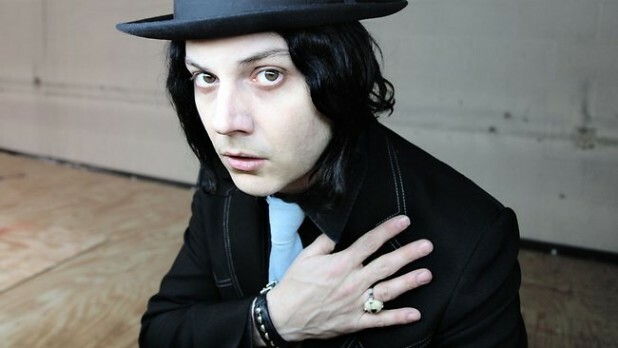 Among this myriad of activities, at this point who knows what else we can expect from the unpredictable Jack White!